Ever heard of the beauty term "MLBB"? Don't feel out of the loop, I hadn't either, until I discovered Reddit's Makeup Addiction page the other night and found that one of the hottest topic is My Lips But Better "MLBB" lipstick. MLBB lipstick shades mimic your natural lip color but have a hint more color that helps enhance your features. This lip look is perfect for a smoky eye makeup look or for a quick swipe of color on a casual Sunday. From soft natural nudes and peaches to dusty mauve's and light bitten berries, My Lips But Better shades can range for whatever your in the mood for and formulas come in creamy glosses, matte lipsticks and sheer tints. 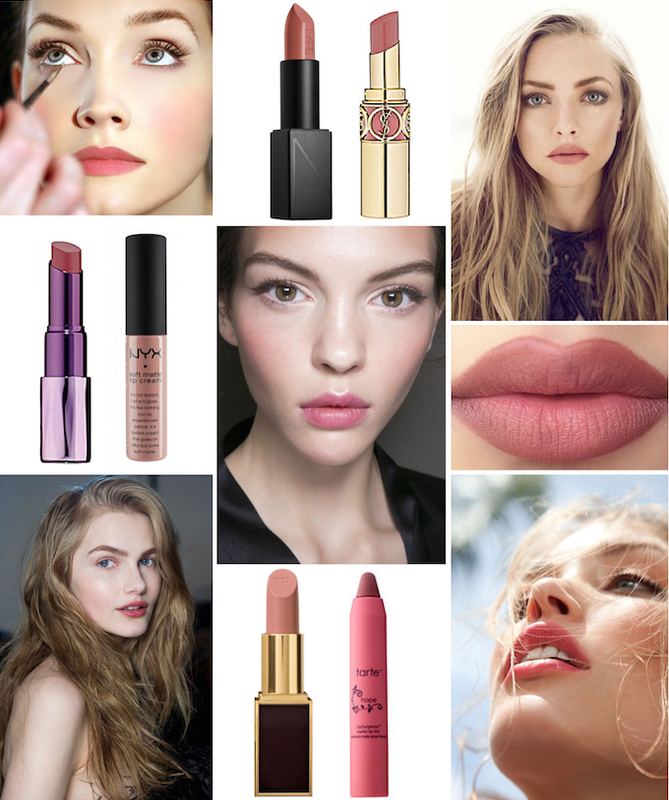 The only important factor is that your MLBB lipstick gives you the look of natural beauty. To be up front, I'm fair skinned and vary in hair color from blonde to dark blonde, so my range of research concentrates on My Lips But Better lipstick shades for fair skin. Some of the hottest on the web are from NARS and Urban Decay, and my personal go-to MLBB is Yves Saint Laurent Rouge Volupte Shine in 07. Below is a list of some of the most beloved natural looking MLBB lipstick shades (particularly for fair skin).